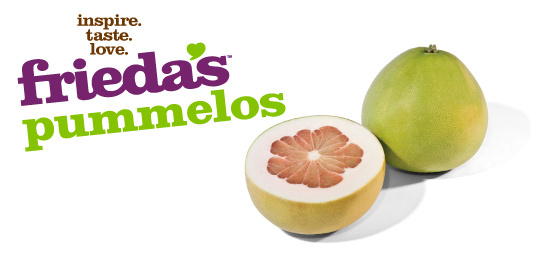 Pummelos, also known as Chinese grapefruits, are the largest of the citrus fruits, ranging in size from a small cantaloupe to nearly the size of a basketball. They are slightly pear-shaped, greenish to yellow-pink and thick skin. The flesh may be white, pink or rose red and has a sweet and tart flavor without the bitterness of a grapefruit. Peel off the thick skin and remove pith. Serve up the segments fresh out of hand, or add to salads. 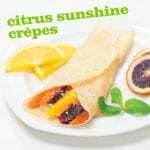 You can also enjoy as you would a grapefruit–cut in half and enjoy with a spoon. Choose fruit that feels heavy for its size.